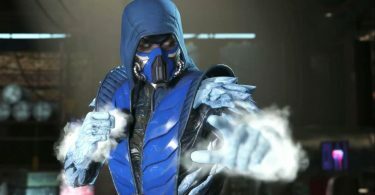 Fjackets is back with another special guide for all of you. 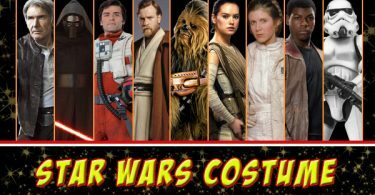 If you are still confused regarding your costume for this Halloween, it doesn’t worry more We are always here to show you amazing ideas regarding how to become a central figure just like your favorite character. 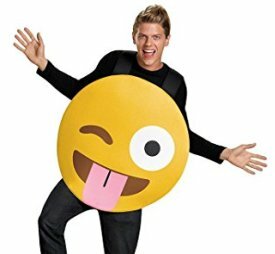 So today I am presenting you the cutest and the most loveable Emoji costume guide. Yes, you heard it right don’t wait more and select anyone emoticon outfit you like. This cute and adorable tongue out emoji is made up of good-quality polyester, form and other fibers. This emoji is used to show the naughty side of the user or is being used when something mischievous happens. 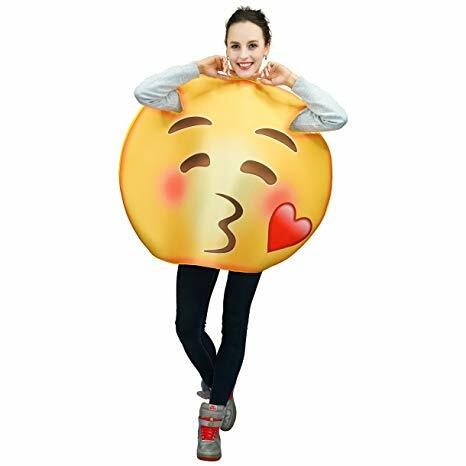 You can be like this cuddly kissing face emoji by just wearing this large foam mask for the adult on a black jumpsuit or either on a black t-shirt. This emoticon is made up of soft fluffy fabric which is very comfortable. This kissing face emoji is used when you are talking to someone you like most or on the topics you love. 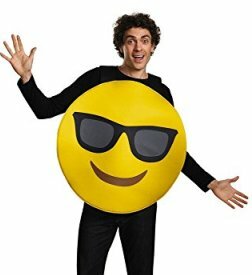 Wear this Sunglasses sandwich emoji costume and look cool this year which is made up of cotton and polyester. This emoji is used when an epic line or topic is being initiated in the chat. 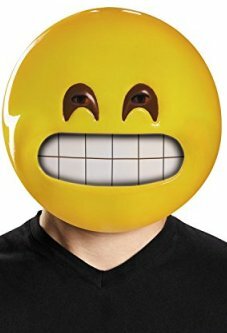 This Cute Grin emoji mask is for an adult which they have to wear with a black outfit. This emoticon is used in chats when you are really happy about something or topics. Hahahaha, sure you will also start laughing after seeing this ROFL emoticon. You become like this emotion you will have to put on this mask on your black t-shirt or shirt. 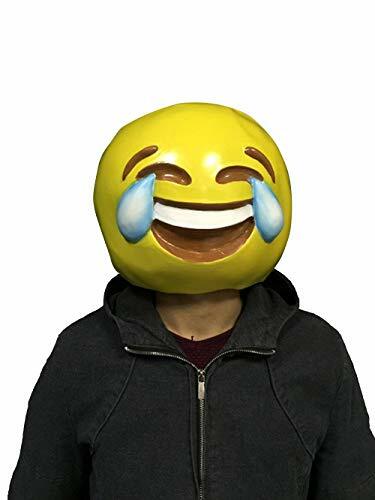 This emoji is used in chats when you have seen the hilarious line by which you start laughing so hard that tears come out from your eyes. 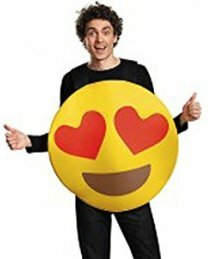 This adorable heart eyes emoji is made up of foam and cotton it just required a black t-shirt and mask to just become exactly like him. This character is being used in chats when you see a line which is loveable or close to your heart. 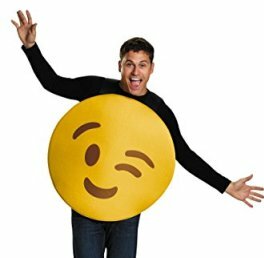 This Naughty winky emoticon is my all time favorite emoji which is used in chats when you are being or in a naughty mood this wink emotion character cosplay is made up of really soft, fluffy fabrics and its cheap too. This little monkey can be very cool during chats. 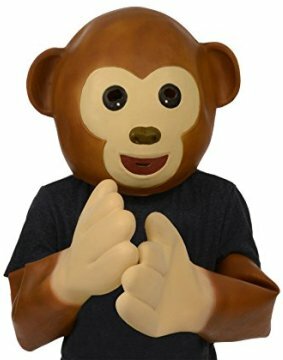 The monkey costume is exactly the same that guys used in their conversation. It includes all the necessary accessories which are important to be like him. Usually, Poop is not used as a good word, but in the world of emoticons this is the most loveable character because girls love him in chats this sign is used when you don’t like someone’s talk, and you don’t want to be rude with them so then you send them this smiling pile of poop. 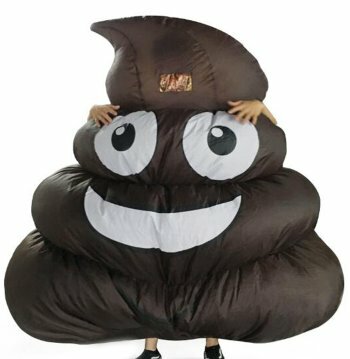 To become like this cuddly character you will have to fill this poop cushion bag with lots and lots of air and then wear it to attract anyone. 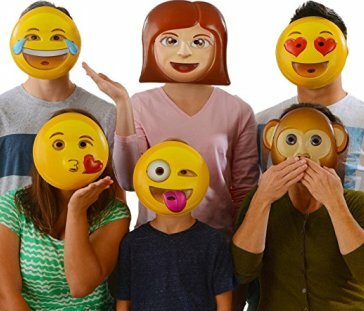 Last but not the least if you want all your family members to dress like emoticons this year then we have this complete pack of 6 emoticon mask for you and your family just wear them and become the part of emotions family. 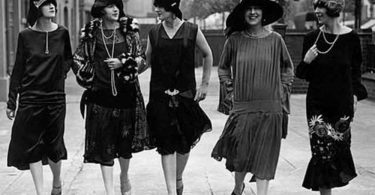 Okay, so in the end, we will conclude this blog like if you want to look cute, loveable and awesome. The idea is going viral and you can grab all the stuff to depict just like the small yellow balls you send to your loved ones every day. 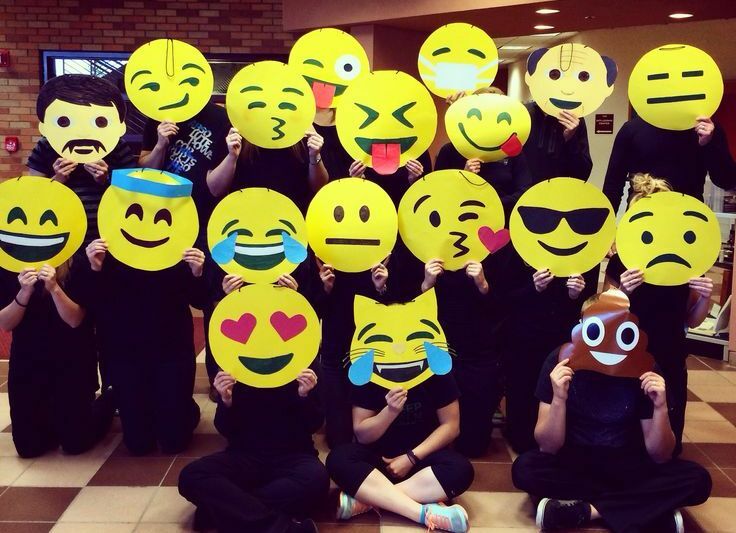 Grab this Halloween Emoji costume and steal each the night with these cosplays.